And welcome to today’s episode of Ice Creams Are The Best. You can also call this episode, “Precious doesn’t want the summer to end” because the summer already ended but I’m yet to realise/accept that. There shall be ice creams and popsicles together with me in love. Summer or no summer. And we shall lick and enjoy like there’s no tomorrow. Is there anyone on this page with me? Let me tell you my ice cream story. 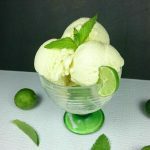 Whenever I tried to make ice cream years ago, the ice will be very present and the cream will be conspicuously absent. I always ended up with cold blocks of something that was far, far away from ice cream. But today, my girls and Mr. N think I am the ice cream star of the moment. We give ice creams in the store the side look because mama knows how to whip up something much creamier, healthier and heartwarming. I am here to share my ice cream “secrets” with you. 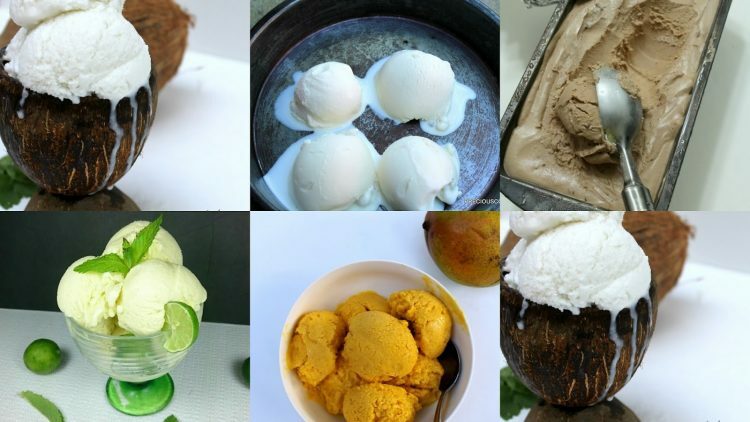 Making your own ice cream is easier than you think. Ahh! This is coconut at its finest. 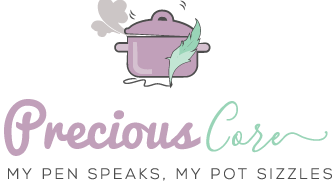 I may say this in any coconut recipe but that’s because whether it is in a curry, in fried rice or in pancakes, coconut brings it’s killer flavour to fine tune every recipe. It does just that in this ice cream. It is overly coconutty, with no extra sugar needed in the recipe. Yet it is this perfect blend of sweet and salty. 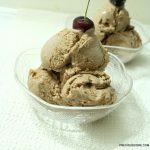 Get the 4-ingredient recipe here and when you are done making the ice cream, make sure you sing that song with me. 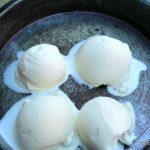 I call this “world’s easiest vanilla ice cream” because it is the easiest vanilla ice cream recipe ever. You do not need an ice cream maker. You only need 3 weird ingredients. This recipe is epic in every way. It is creamy, bursting with vanilla goodness and ridiculously easy to make (in case you missed when I first mentioned it). Get the recipe here. 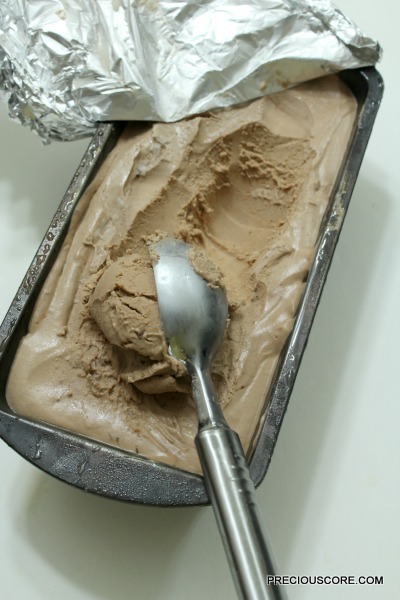 Ladies and gentlemen, I present to you another ice cream in my “world’s easiest” series, It is the chocolatey ice cream. Oh boy (sorry if you are a girl) if I could marry an ice cream, I will marry this one. This together with the vanilla ice cream up there are siblings because they are ridinkoulously ez to whip up. This ice cream is sweet, creamy and chocolatey. Get the recipe here. This ice cream is the perfect balance of tart and sweet. It is sure to turn every non-ice cream lover into a convert because of how unconventional the flavours are. At least it converted Mr N. It is minty, citrusy and sweet. Get the recipe here. Okay, this is not really an ice cream but it is a sorbet which is still somewhat part of the ice cream family. It features succulent mangoes and creamy coconut milk. 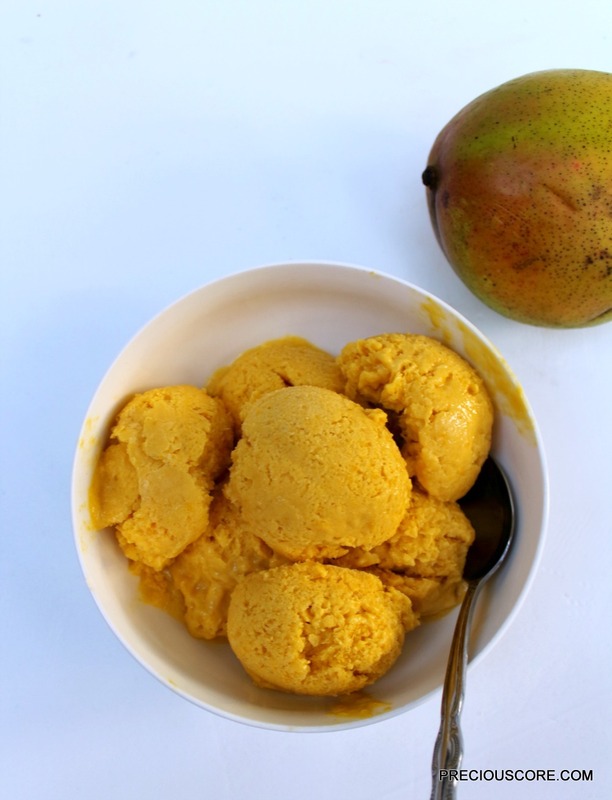 Effortlessly healthy, fruity and delicious are coming to you in this orange-looking scoops. You had better try this recipe especially if you are a member of the fitness clan. Get it here. 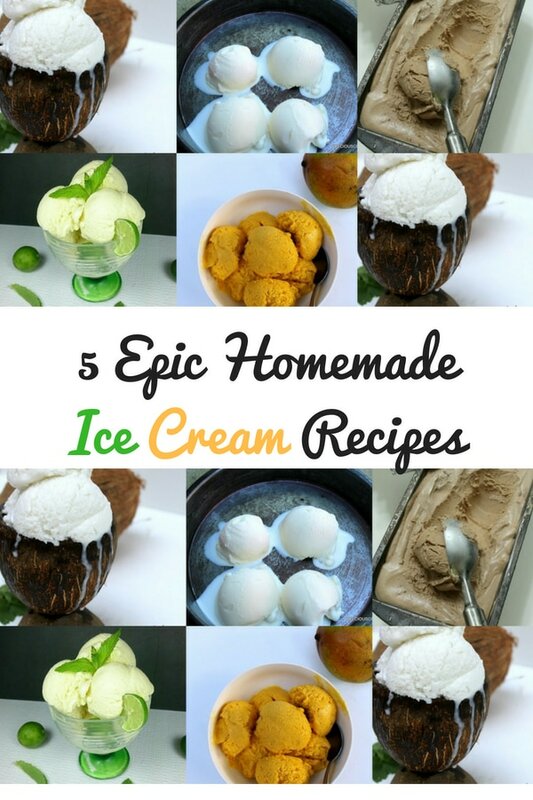 With these five super-easy, well explained and practical recipes, you should be screaming for ice cream. Aunty these are soo tempting. 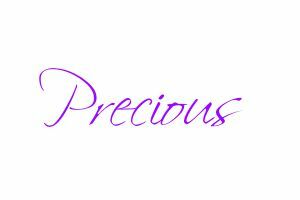 Please visit my blog and tell me what you think. I think the first one I'll be trying is def the sorbet! You are so good at this, and I can imagine your kids giving the store ice cream proper side eye. Hahahaha. In this case, yield to temptation. Hahahaha that's eh, serious side eye. They look so delicious and I guess taste delicious too. Saves you from buying ice cream too. 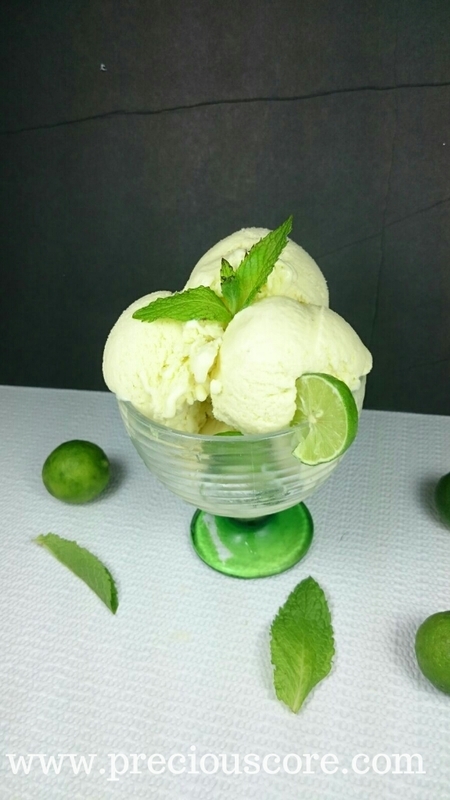 Who doesn't love ice cream and making it at home sounds like fun to try! 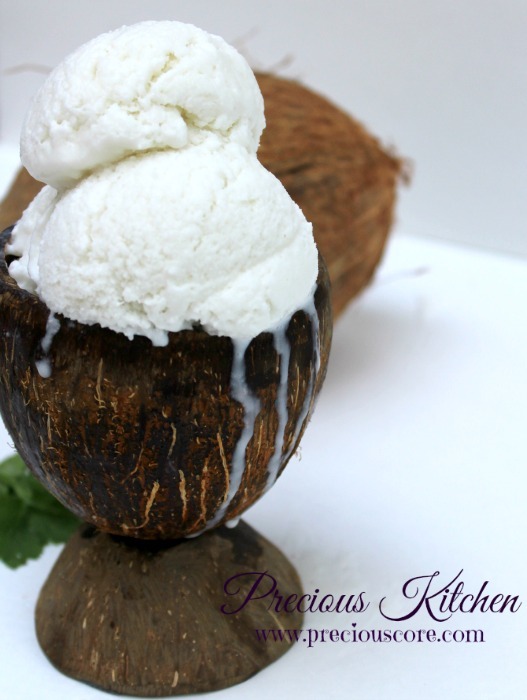 We have to give the coconut ice cream a shot, it looks so refreshing! Anything chocolate, just count me IN… Its the love of my life after Jesus Christ. To the extent that my best colour is brown or chocolate in virtually everything. I'm going to try this since you've made it look so easy. Remember I said your blog is so resourceful 😀 Do you know I tried the okra and spinach thing? It wasn't perfect but you inspired me to try it and it was good for dinner at least. Maybe when I try out the icecream thing, I'll tell you. P.S: You and coconut ehhhh..Lmao. 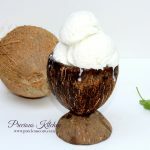 Your love for coconut pass watintin o this one that you're singing for it. I checked all the recipes and I can't wait to try them. For the condense milk are you using medium size can? please more details on the sizes. Any thing cold not really my thing but if I want to have that once in a blue hot sunny weather yield to ice cream moment, I will most def go for chocolate. It is my favourite flavour. You deserve the best mama title and your kids do have a right to give shop icecream the side eye. I’m so trying the vanilla and coconut recipe, that lime n lemon too clumsy abeg. But where are the recipies for the ice creams? I am interested in them. Hi Chama, click each caption in green to get the recipe. For example, click on “Vanilla Ice Cream” to get the vanilla ice cream recipe. You can also click on “here”. That’s when I say recipe “here”, click on “here” to get the recipe. Hope this makes sense. Hahahaha you are so funny! Making ice cream at home is so much better. Hope you enjoy! Saved this post a long time ago…. Stumbled upon it again…. Went through…. And I’m like…. Aunty Precious is Godsent.